The Kurama Fire Festival is counted as one of the three great unusual festivals of Kyoto. Held in Kurama, a small town in northern Kyoto. 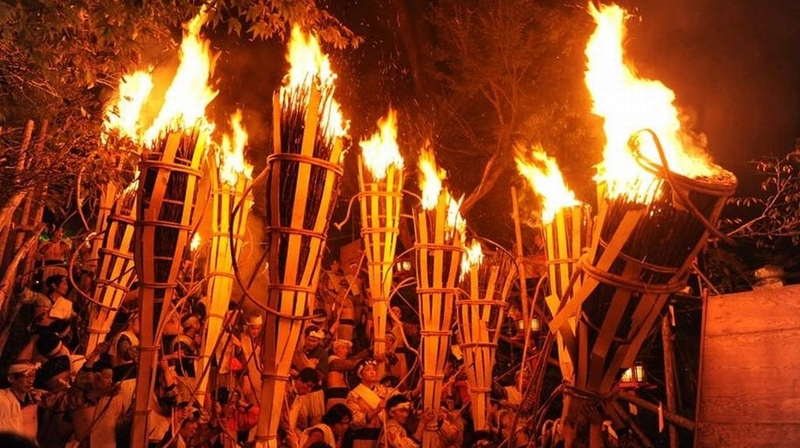 The Kurama Fire Festival is filled with lit torches and iron baskets holding fire. You may experience incredible spectacle of the danger of so much fire so close at hand. The festival reaches its climax when one or two hundred of the torches are gathered on the stone steps in front of the main gate of the temple and everyone begins chanting “saireyaa, sairyo” in unison. Access : 3-minute walk from Kurama station on Eizan Electric Railway.